Carefully remove yolks and place in a small bowl; mash yolks with the back of a fork. Add jalapeno pepper, mayonnaise, cilantro, mustard, pickled jalapeno juice and cayenne pepper. Spoon mixture into hollowed out egg whites. 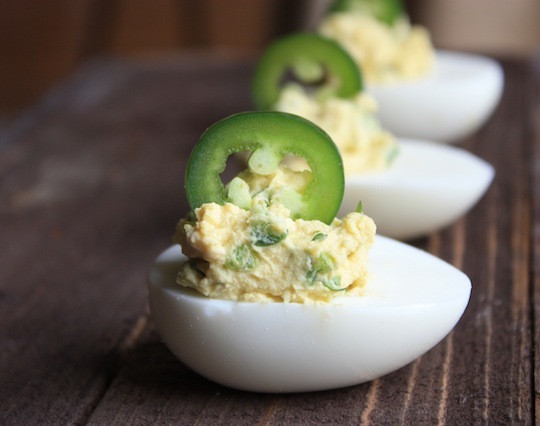 Garnish with fresh jalapeno slices. Refrigerate for at least 1 hour before serving. Serves 6.